‘Nothing has happened but that which has been recorded’ said Virginia Woolf.1. This sentiment couldn’t be more apt when it comes to the much-debated issue of provenance: the currency that turns the art world on its axis. My last article “Introduction to Provenance Research” started to tackle the fascinating and intricate problem of reconstructing the past history of a work of art. Having already examined the principles of provenance research, I will now look further into the mysteries behind the history of art works. When the plot thickens, checking existing literature and a close examination of the object might not be enough to reconstruct the entire path that has led it from the artist’s hands to your own. So what exactly counts as provenance? And how can you ensure that the works passing through your lives are genuine works by the artist? Concerning authenticity the word of much lauded experts comes highly rated, and a signed certificate or statement of authenticity will hold the most currency when it comes to confirming the origins of a piece of art. Validation from the artist himself is highly sought after of course (if they are alive all the better), and any written documentation, even a verbal acknowledgement, can hold sway providing there is a witness. Gallery sales receipts are valid, as are recordings of the artist talking about the work. When it comes to tracking back the previous owners of a work, though, the ultimate source of information is the plethora of auction catalogues that exist. Auction houses invest a lot of time in creating accurate ownership records for each lot they offer as this significantly affects the estimated monetary value of an object. Art Sales Catalogues Online is an online source for auction catalogues dating from 1600 to 1900 that have been scanned and are now accessible on the web. artnet is an online database with auction results since 1985, including all the works sold by major auction houses worldwide. A small annual fee allows you to access all these results. The Getty Provenance Index is the result of the research conducted by scholars of the Getty Institute on provenance and history of collecting, this online database contains more than 1.5 million records ranging from archival inventories to legal documents and sales catalogues. SCIPIO is a comprehensive website with records from art and rare book sales/auction catalogues. The records provide information on dates and places of sale, catalogue title, auction house and sellers. If the catalogues you are interested in are not available online, SCIPIO will always be able to locate the nearest institution that holds them. Then the only thing left to do will be to get your hands dirty digging into archives to retrace the history of previous owners of your object. Though intricate, the whole process of determining the origins of the art in your collection is absolutely necessary if you wish to establish the cultural and financial value of an artwork. It is especially important to consider the escalating diligence required in light of a stream of cases originating from the Second World War when works were so often hidden, stolen or spirited across borders. Many of which are still in the process of trying to be reclaimed. Although this kind of research requires painstaking attention and rigour, there is a whole thrilling side that we haven’t explored yet. In fact the thrill of discovery overcomes the effort required when we think of the research conducted by Philip Mould: art historian, dealer and detective of masterpieces. His BBC programme 'Fake of Fortune?' has been defined in the Guardian as “…incredibly interesting, with enough of the CSI to keep even a philistine engaged.”2. 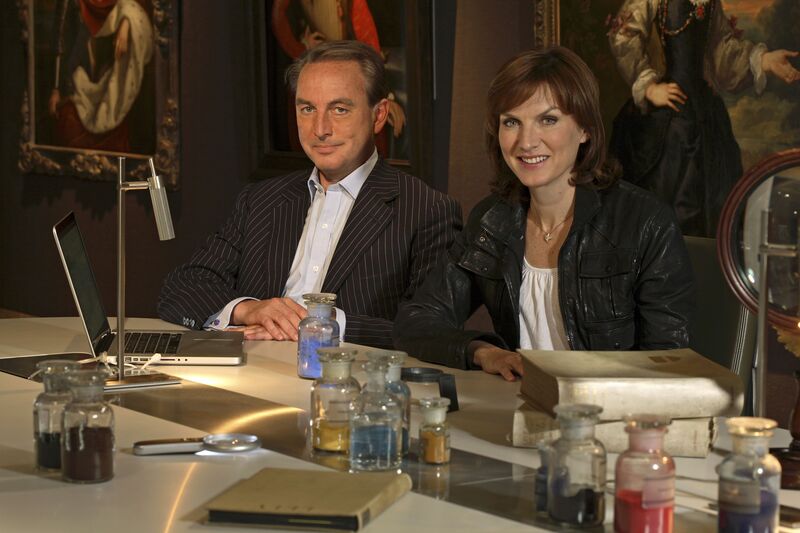 In the episodes from this series, Philip and TV presenter Fiona Bruce investigate the provenance and authenticity of privately owned art works. During this series, the Davies’ Turner case certainly pinpoints the crucial importance of provenance and provides a handful of strong arguments for producing a well-documented provenance for your collection. Gwendoline and Margaret Davies were two independently wealthy Welsh philanthropists and patrons of the art. Their interest in Impressionist paintings was second to none and over the years they invested part of their capital to create one of the most distinguished private collections of European Art in Britain. When Gwendoline died in 1951, the two hundred and sixty paintings in the Davies collection were bequeathed to the National Museum of Wales. Amongst the highlights of the collection were seven works by the Romantic landscape painter Joseph Mallord William Turner (1775-1851), one of Britain’ s most celebrated artists. These paintings were the core of the collection, they had been carefully selected before acquisition and they were highly valued in the art world. However, a few months after the bequest, the Turners’ authenticity was questioned by a number of experts in the art world. These gems of the Davies collection were therefore taken off the walls of the museum and further research had to be conducted to re-examine their provenance and attribution. The true identity of these works became the subject of a forensic investigation conducted at Tate by a team of Turner experts. The paintings were compared with similar works from the Turner bequest to the Tate. Meanwhile, Philip and Fiona investigated the back-story further, trying to shine light on the obscure secrets behind the origins of these canvases. In the end, the veil of doubt that has covered these landscapes for years was lifted thanks to this joint effort: the experts recognised medium and techniques as characteristic of Turner, and Mr. Mould discovered that the provenance of these paintings is connected to Turner’ s secret lover. Thanks to their teamwork the paintings are now back on the walls of the National Museum of Wales and the reputation of the Davies sisters as collectors has been restored. This is quite a striking example of how provenance research can affect the consideration of collectors and of theirs works. If the works had not found documents to back their history, or had not received approval from the experts on the subject, they would no longer be considered as important the Davies sisters thought they were. This case in particular underlines how provenance and authenticity are not just a primary concern within the art market, but also an important concern for the museum world. Many copies of the painting were made by Leonardo’s pupils, but an inventory of the collection of King Charles I in 1649 lists the original Salvator Mundi. From the Royal Collection, the painting then changed hands to the Duke of Buckingham in the 1660s but was then sold to King Charles II in 1783. The history of the painting between this year and 1900, when Sir Francis Cook acquired it, is still unclear and the painting was believed to have disappeared. In 1958 the painting reappeared: it was offered at Sotheby's auction house as by Giovanni Boltraffio (c.1467 – 1516), a pupil of Leonardo. The Salvator Mundi sold for £45 to Mr. Kuntz, thought to be a false name. Most recently, a consortium of dealers, including Robert Simon, a specialist in Old Masters in New York, bought the painting in 2005. Up to that point, the attribution of this work was still doubtful and significant questions about its ownership remained since the painting had passed through so many different hands. However, after the consortium had it properly restored, the painting appeared to be a genuine work by Leonardo. The authentication process lasted seven years and was conducted by leading scholars and experts including Pietro Marani, Maria Teresa Fiori and Martin Kemp. This process culminated with the inclusion of the work in the National Gallery show “Leonardo da Vinci: Painter at the Court of Milan” in London, which definitively re-established the reputation of the long forgotten Salvator Mundi. In fact, not only did the estimate of this Leonardo reach 150 million dollars (compared to £45 in 1958!) after the exhibition at the National Gallery but the painting also gained academic and curatorial renown. From London, the painting travelled to the Dallas Museum of Art, which considered purchasing the work, but after weeks of negotiations no agreement was made. As collectors you probably have heard time and time again: never ever invest in a piece without seeing the provenance first. However, the case of the Davies sisters Turners and the Salvator Mundi present a fascinating opportunity to explore the much-debated issue of provenance from a different angle. Rather than stressing the commercial importance of a strong provenance, these two cases shift the focus on the importance of maintaining the reputation of an artwork. In this regard, auction house specialists and the art dealers have a secondary role whereas museum professionals and scholars have the last word. I would therefore like to leave you with one last suggestion. As a collector, you can consider that a good relationship with museum professionals and scholars, when complementary to a strong and well-documented provenance, may secure the cultural significance of your collection. Receiving academic attention for your works of art and having them exhibited in prestigious institutions in fact presents an interesting way to actively look after your collection with the added pleasure of sharing beautiful art the wider public. 1. Nigel Nicolson, Virginia Woolf , Penguin Group, 2000. For a review with the quote see http://www.nytimes.com/books/first/n/nicolson-woolf.html. 2. Wollaston, Sam. “TV review: Fake or Fortune? ; The Marriage Ref” The Guardian Online. 19 September 2011.http://www.guardian.co.uk/tv-and-radio/2011/jun/19/tv-review-fake-or-fortune.